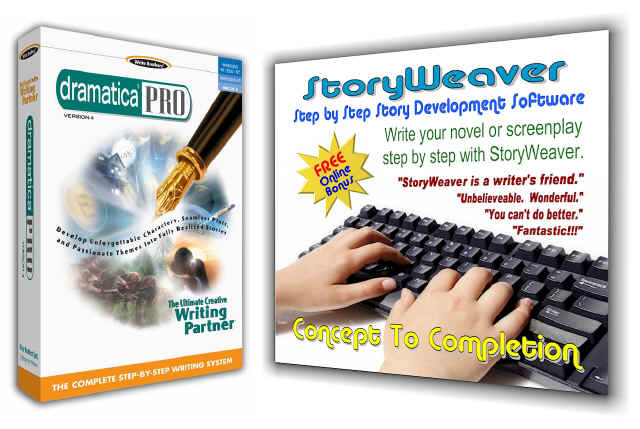 Some writers get discouraged when they first try to create a story structure in Dramatica. This is because the software directs you to work out your structure first, THEN develop it into a real story. But there is a MUCH easier way…. Located on the Main Dramatica Desktop is a button labeled, "Query System." When you press it, you’ll be taken to a screen that presents several different buttons, each of which is labeled as a different aspect of the story creation process, such as Character Storyforming or Plot Storyweaving. When you push one, you are taken to a list of story questions pertinent to the aspect you selected. IGNORE THE BUTTONS!!! The All Storytelling choice brings up a list of every storytelling question available in the Dramatica software. Now, why did you do this? Well, if you approach Dramatica from any of the normal, easily accessible areas, you are presented with STRUCTURAL questions that you MUST answer before doing any storytelling at all. The StoryFORMING structural questions are multiple choice, and ask you such things as: "Which of the following items best describes your story’s Goal: Obtaining, Becoming, Understanding…"
Answering a question like that before you even know what your story is about is next to impossible! But by going to the All StoryTELLING list first instead, you will be presented with questions such as, "Describe your story’s Goal." You don’t have any choices to make, just a space to fill in whatever thoughts you may have about your Goal. So, you might enter for example, "My Story’s Goal is that Joe wants to be president." Jump around in the All Storytelling list by clicking on any question you feel like answering, in any order you like. Even without Dramatica’s Story Engine feeding you choices, you’ll find the list of questions so complete and cogent that your story almost develops itself. Well, not really, but it sure makes you think and fill in gaps. NOW… Once you have answered all the questions you care to, THEN you go to the All StoryFORMING list by selecting it from the pull-down menu. Select a question you have already answered in storyTELLING and click on the Storytelling HelpView button (in the middle of the screen between the top box and the bottom box) and the storytelling you did will show up in the bottom box! You can now refer to your original concepts when making the structural choice in storyFORMING. In our example, suppose you go to the Goal Storyforming question. When you click on the Storytelling HelpView button, your words, "My Story’s Goal is that Joe wants to be president," appear in the bottom box so you can refer to them while you are making your choice (Obtaining, Becoming, Understanding) in the top area. In our example, you would look over the list of choices and ask yourself such questions as, "Does Joe want to OBTAIN the office of the presidency or BECOME presidential?" By having your own words in front of you, the storyFORMING choices now help you focus your intent, rather than making you work with logistic choices far removed from the creative process. If you choose Obtaining, the story will be about trying to rise through the party, win the nomination, and then the election. If you choose Becoming, the story will be about trying to grow to become presidential (as in the movie "Dave"). For help in making your choices, use the HelpView buttons. To do this, first select an item you think best sums up what you have written. Then, click on the Definition, Context, and Stories HelpView buttons to see if that choice matches. If it is perfect, go on to the next question. If not, try other choices until you find the one that best fits the description you wrote. It is important to begin your Storyforming with the questions that are most important to you. This is because Dramatica’s Story Engine will be working in the background, limiting future choices to be compatible with what you have already chosen. So, by starting with the story points you are most "married" to, you will get all of the key elements into your story that you wanted before you run into dramatic inconsistencies. What’s a dramatic inconsistency? Well, authors usually come to a story with lots of little pieces that deal with the same subject matter. But just because they all have to do with the same topic doesn’t mean they all fit in the same story! The process of structuring a story is working out which pieces fit together and which need to be discarded. If the Storytelling you did is not really important to you, then you’ll want to return to the Storytelling question list and revise your words to match one of the available dramatic choices. But if your Storytelling IS important, then you may decide to ignore the dramatic inconsistency and leave it in anyway. Why would you want to create a story with flawed dramatics? Stories are half Structure (meaning) and half Storytelling (audience experience). Sometimes a poor song well played sounds better than a great song poorly played. Only you can determine if the inconsistency is so dramatically wrenching as to derail the audience, or if the Storytelling is so compelling that its power far outweighs a minor dramatic flaw. Stay in the Storyforming questions and answer them directly without doing any Storytelling for them first. In the first case, you should go to the next most important question and work down you list of priorities. Then, go back to Storyforming and proceed as before. Do this as many times as you need in order to finally arrive at a single Storyform structure. In the second case, go to the most important unanswered Storyforming question remaining and make your choice. Work down your list of Storyforming questions until you arrive at a single Storyform. Eventually, you will have arrived at a single Storyform. At this point, there will be many Story Points determined by Dramatica’s Story Engine which do not yet have any Storytelling. Now it is time to return to the Storytelling areas of the software and fill them in, based on what you have already written. In summary, rather than first approaching a sterile process of story structuring that leaves you cold, uninspired, and frustrated, you can go first to storytelling and express all of your interests and passions, letting them form the basis for your story structuring later. This works even better if you have already jotted down some notes or written a treatment or even a first draft.